The Staff at the Cheyenne Mountain Zoo is considered by many to be the experts on the palm oil crisis in the zoo community. By providing tools and information about the issues surrounding the production of palm oil, they encourage people to take action and make responsible consumer choices. ElefantAsia is a registered non-profit organization working to safeguard the Asian Elephant. Operating in Laos since 2001, ElefantAsia initiates elephant conservation program, breeding incentives, environmental awareness, and well-being campaigns throughout the areas populated by wild and captive elephants. ElefantAsia runs Veterinary mobile clinics to provide free treatment to elephants and train mahouts in basic health care and humane handling practices. They also undertake rigorous registration campaigns with microchips and database software to monitor the population and fight against illegal capture and smuggling of elephants. 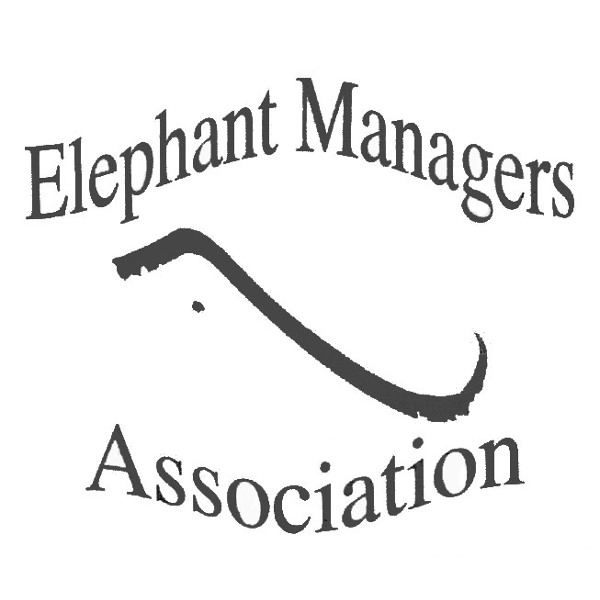 The Elephant Managers Association (EMA) is an international non-profit organization of professional elephant handlers, administrators, veterinarians, researchers and elephant enthusiasts. The EMA is dedicated to the welfare of the world's elephants through improved conservation, husbandry, research, education and communication. All of their members adhere to the Elephant Managers Association, Inc. Code of Ethics and are committed to providing elephant care at the highest professional level. Both Golden Triangle and AES believe it is important to help elephants in captivity in their range countries, since there is such a long history of man and elephant living together. GTAEF is a non-profit in Thailand dedicated to helping both mahout and elephant by keeping them together for the betterment of their lives. The International Elephant Foundation actively supports conservation, education, research, management programs, and community-based strategies to enhance the survival of elephants and protect their habitats worldwide. They are a catalyst for a sustainable future where elephants thrive. One of KHS' core objectives is to support the on-going operation of the Indonesian Governments' Elephant Response Units (ERUs) within the Way Kambas National Park. The ERUs continue to effectively mitigate and further reduce Human-Elephant Conflict and to support a sustainable coexistence between wild elephants and local communities. The Sri Lanka Wildlife Conservation Society (SLWCS) is a non-governmental organization committed to developing a sustainable model for wildlife conservation in Sri Lanka. Their focus is on helping people, elephants and other wildlife co-exist peacefully. SLWCS is highly committed to developing practical solutions that mitigate wildlife-human conflict, environmental damage, climate change, and biodiversity loss, and that address sustainable livelihoods, land use, and rural poverty issues. All of these issues are intertwined and must be addressed simultaneously to achieve lasting and meaningful conservation. Think Elephants International strives to promote elephant conservation through scientific research, educational programs, and international collaborations. TEI operates by enlisting the expertise of scientists and educators working in diverse fields who are committed to the conservation of elephants and other animals through (1) scientific research intended to aid in conservation efforts for elephants and other wildlife, (2) pre-college education programs designed to impassion the next generation with critical thinking skills and an understanding of environmental issues, and (3) partnerships with other conservation organizations in order to collaboratively tackle relevant issues. TEI is dedicated to using the elephant as a means of connecting the public to broader conservation topics, and inciting in individuals an admiration for all wildlife. "Vivre avec les Éléphants" ("Living with Elephants") is a non-profit association, which aims at work towards establishing a sustainable living together between humans and elephants. Drawing on knowledge and know-how owned and implemented by local populations who daily live and work with pachyderms, the association is engaged in a cultural and pragmatic approach to conservation. ZAA promotes responsible ownership, management, conservation, and propagation of animals in both privately funded and publicly funded facilities through professional standards in husbandry, animal care, safety and ethics.